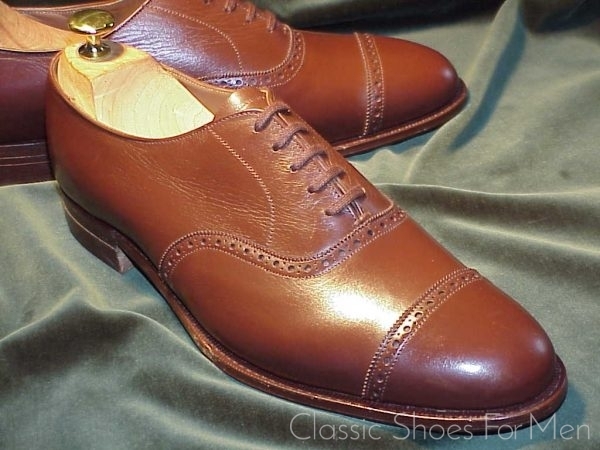 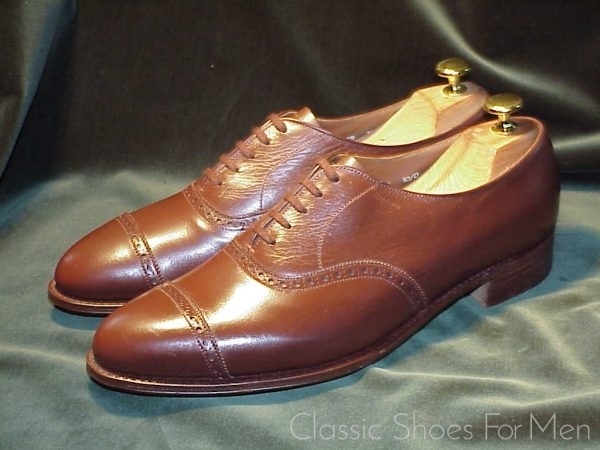 This is an absolute traditional quotation of the Cap-Toe Oxford Brogue in medium brown, the colour of officer’s dress shoes, and one of the fundamental models for the well-dressed man. This shoe is specially made by Crockett for Alan Flusser, the New York tailor, author and taste-maker. 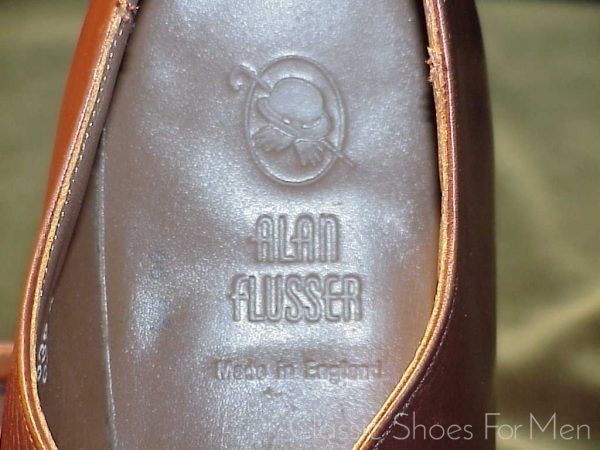 Flusser is know for his excellent and definitive series of books, such as “Dressing the Man”, quantifying men’s dress for the contemporary gentleman with the appropriate eye to tradition. 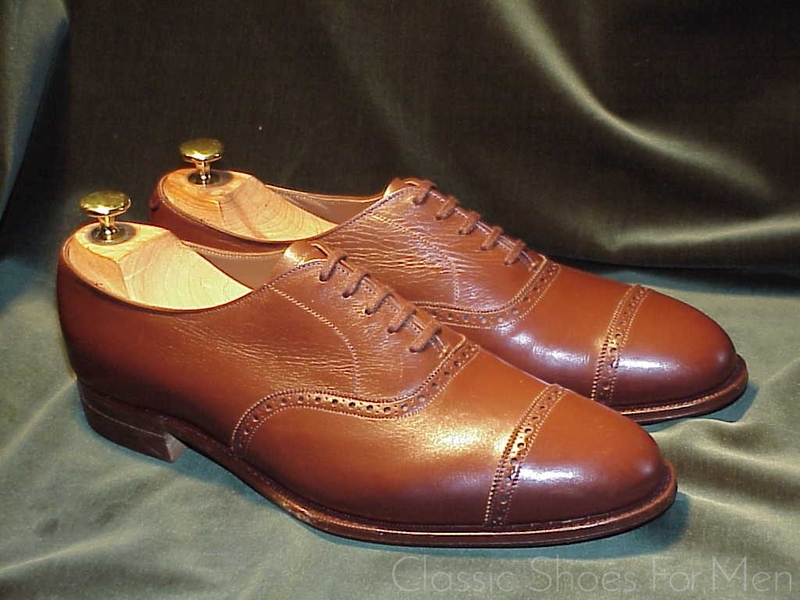 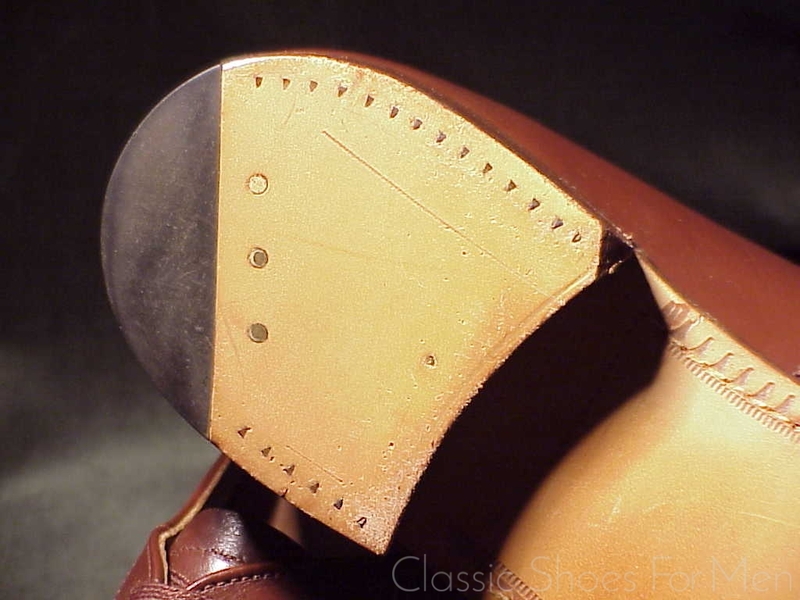 The partnership between Flusser and the undisputed master shoemakers, Crockett & Jones and Edward Green has resulted in handsome and distinctive shoes of top quality and classic styling. 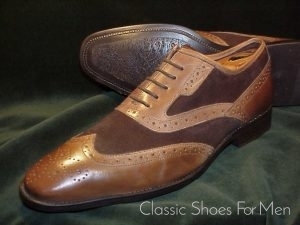 Visit his website for inspiration in matters sartorial. 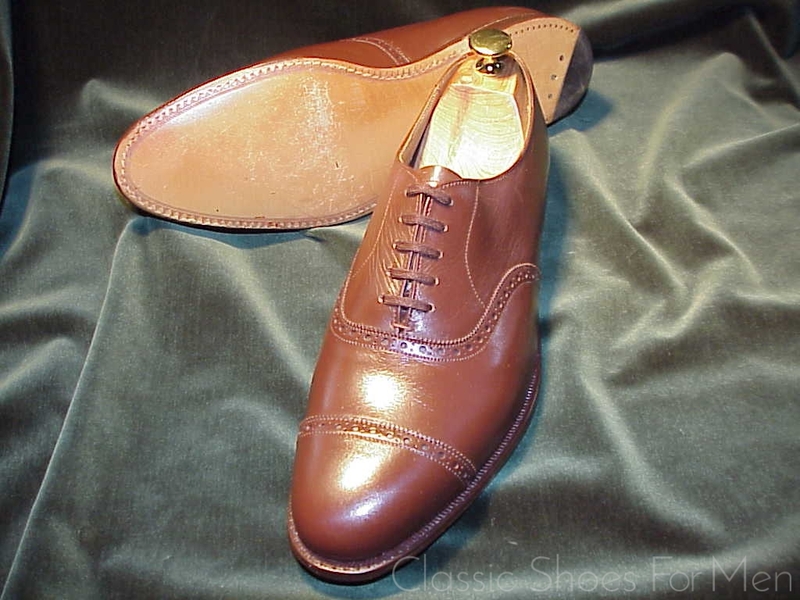 The present shoe is as durable as it is handsome and a wise choice for the traditional-minded gentleman’s wardrobe. 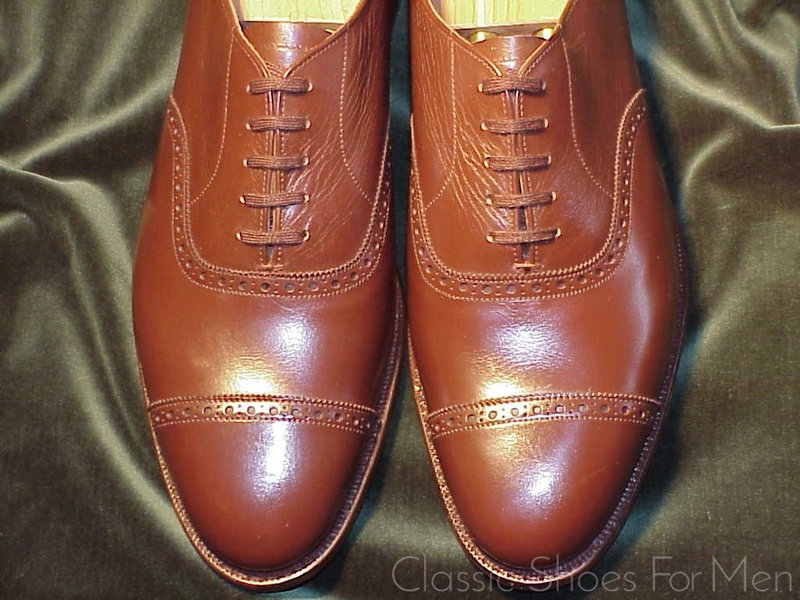 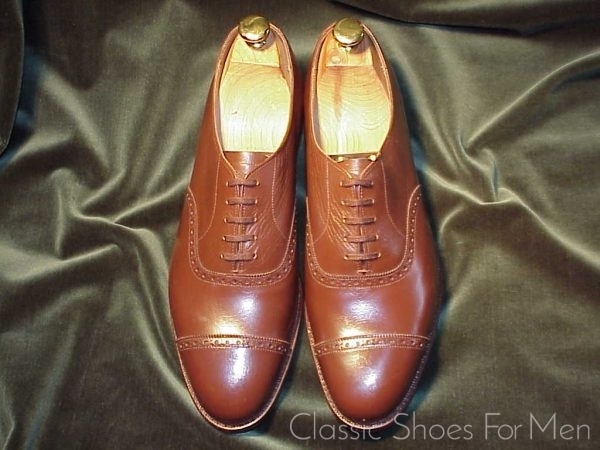 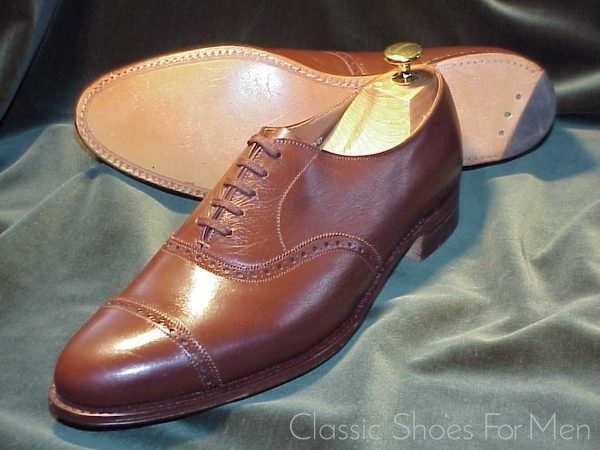 It is the worthy decendent of the great American and English Oxfords of the early and mid-20th century shown nearby in the website (and at half the price). 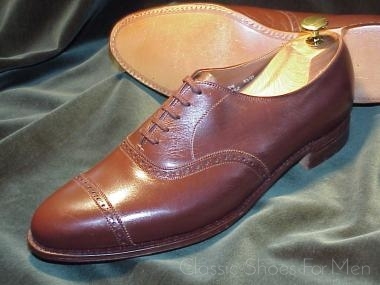 This shoe has my highest recommendation. 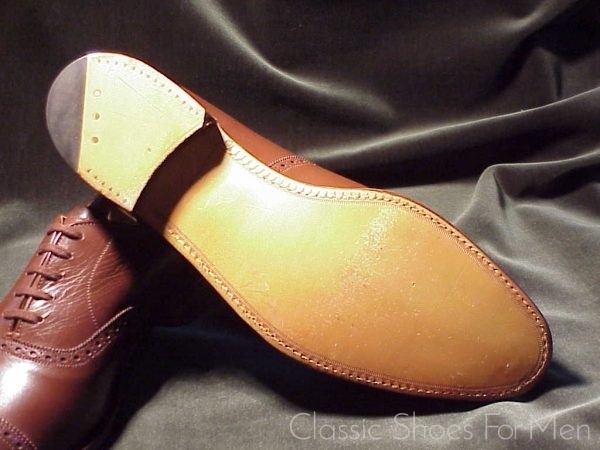 Size: US 10D……UK 9E……Continental 43-43.5D, for the medium width foot. 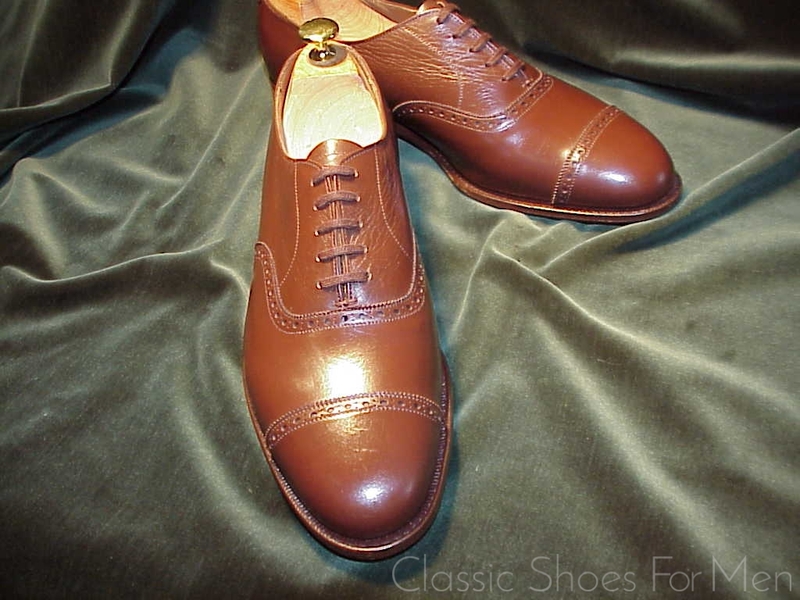 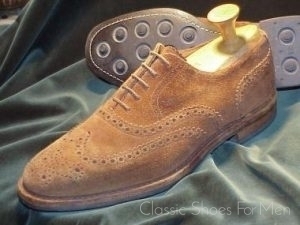 Das Klassik Oxford “Halb Brogue” von einem der unstreitbar besten Meisterschuhmacher, wunderbar gearbeitet, angenehm schlicht, jedoch in jedem Detail überzeugend. 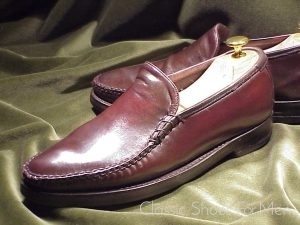 Mit seiner rahmengenähten Sohle und “McAfee” Absatz ist dies ein unverwüstlicher und zugleich charmanter Schuh. 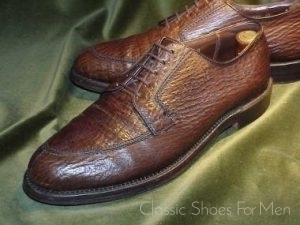 Grösse: 43-43.5D…(UK 9E)…(US 10D), für den mittel-breiten Fuss.